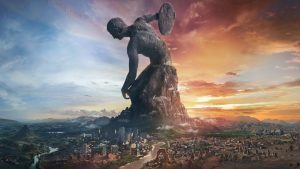 Civilization VI: Rise and Fall is the first expansion pack for Civilization VI and will be released on February 8, 2018. The lead designer for the expansion pack is Anton Strenger. Eight new Wonders like the Taj Mahal, the Statue of Liberty, and the totally not the Kremlin this time with the St Basil’s Cathedral. In addition to new civilizations, units, wonders, there are also significant new features that will increase the depth of the game. Like wonderful Great Ages which allow you to reach the peak of your Civilization, but watch out because you don’t want to find yourself in a Dark Age, with your cities ceding from your empire due to low loyalty. Or Governors that you can drop into cities to give them bonuses that while don’t break the rules, they do bend them significantly. Is one Civ steamrolling their way to a win, well watch out because Emergencies may turn the world against then for some sweet gold. Also Alliances have had a big upgrade, so look out because now Gilgamesh will want to be friends with you more than ever. For the full list of features and details, please visit this thread on the forums.